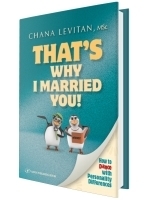 Chana Levitan is a renowned educator, author, lecturer, and relationship coach. Through her extensive professional experience over the past 22 years, she has counseled literally thousands of women and men. Chana resides in Jerusalem with her husband and children. 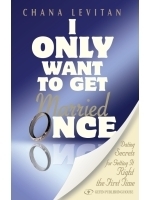 Her driving passion is to give people the tools they need to trust themselves and their abilities to create a successful marriage…the first time around. Do you have any future scheduled appearances, if so what is the venue, date, contact and topic?